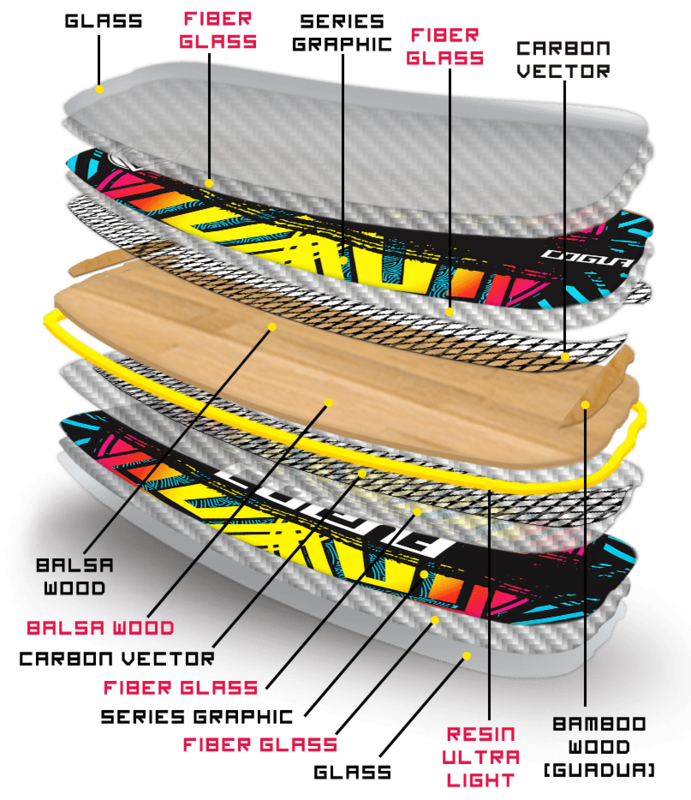 Kiteboard VectorNet Carbon - Freeride All-in-One give you more Pop in jumps, increase the speed and resistence. 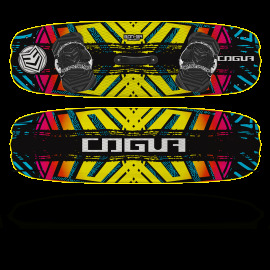 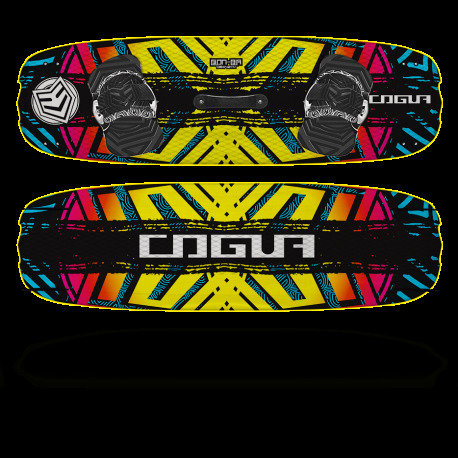 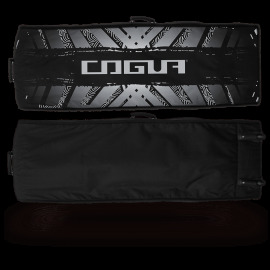 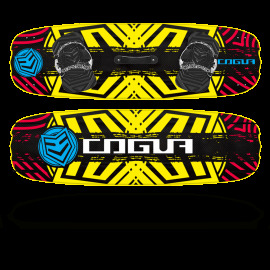 This model has additional layers of carbon fiber VectorNet to increase the POP, resistance, and big jumps with strong impacts in tricks and thanks to its special design and construction All-in-One works very well for all uses, both in flat-conditions and waves. 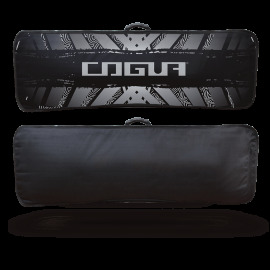 Rocker and Outline have been modified up to the limit for offer an incredible UPwind angle and comfort in carving the waves. Newly built addition to protecting the the graphic because it is inside the board, it has a specially selected wood that is very light and flexible that provides greater absorption of water vibrations, generating greater stability and comfort in long sessions or big jumps.